* All members are welcome. 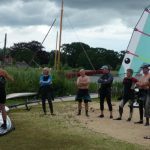 * Training by big G and our other RYA qualified instructors. * All levels catered for. 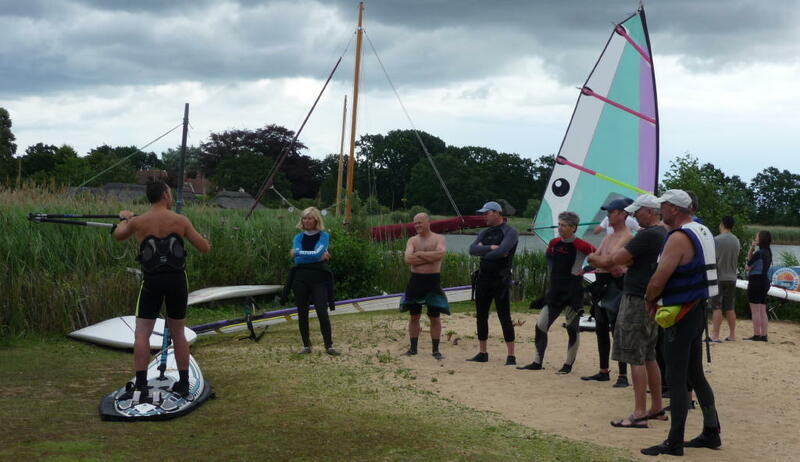 A dozen or so enjoyed a tropical day splashing around on the broad and improving our skills . Well done Gareth and me. Arriving at 8am I was rewarded with another super blast on the Formula board for the 2nd weekend running. An hour and a half of blasting over relatively flat water, and only one of 6 or so craft on the broad.. 20 to 27 mph, blue skies, 26 deg, just heaven. Will have a smile on my face in the office all next week. Après windsurf drinks at the pleasure boat pub with big G, L and S too. The broad must have been the best place to be in today’s heat…where was everyone?